Linear Actuators for Military and Defense Industry - Venture Mfg. Co.
Military applications and various systems used for defense purposes require hard-wearing performance capacity. These systems need to face harsh environmental conditions, extreme weathers, and severe attacks. All these factors call for impeccable motion control and maximum force capabilities. 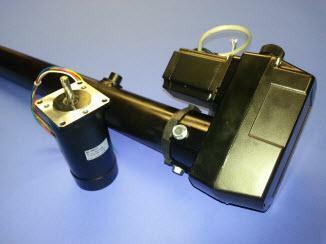 Such motion control with complete automation is offered with the help of linear actuators. Venture Mfg Co is a leading manufacturer of high-end linear actuators specifically designed to be used in military and defense machineries. The military sector puts its trust on Venture Mfg Co for linear electric actuator needs. 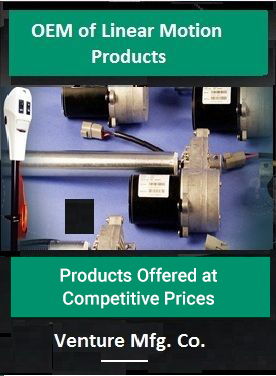 Our team of dedicated engineers has developed actuators which enhance performance caliber of defense machineries. Our actuators are ideal to keep up with callous environmental conditions such as sub-zero temperatures, very high temperatures, dirt, fog/ smog, high altitudes, etc. How do Actuators Help in Enhancing Operational Value of Military Machineries? Actuation is a process highly useful in automation of equipment, motion control, and provision of torque. Military and defense vehicles such as tanks, cannon carriers, airplanes, fighter planes, helicopters, ships, robots etc run smoothly and efficiently with the help of diligently designed linear military actuators. 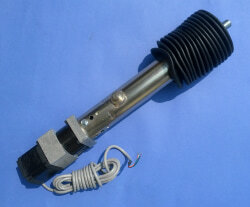 Analog nature linear actuators help in obtaining high resolution in military weaponry on limited stroke. In boats, ships, and other marine vessels used by the military, linear actuators provide the essential torque making maneuvering of these vessels highly efficient. For launch lock mechanisms of robotic canons, coil motor actuators play an important role by providing essential force as well as torque. The rugged and tough applications of military sector can be performed with competence by various automated machineries and linear actuators help in systematic operation of the machine components.